"We are proud to launch a new promotional technology for customer fidelization and profiling." said Dino Sergiano at a recent investor meeting in Milan, "The VAPoints program puts focus on the product and encourages customers to buy their preferred goods wherever in the world. If you like a special kind of wine or pasta, you’ll collect VAPoints for each package or bottle you buy, no matter the store or the online webstore where you purchase it." Dino added. VAPoints can be used in different ways: redeem discounts, pay new purchases, cash money in and more. The Validactor team is extremely excited about the potentiality of this new functionality that will allow our customers to strengthen their presence in world markets. Validactor is not only anti-counterfeit, it delivers many additional features such as product traceability, brand protection, bid data analysis, product's flagging, social networking, sales front-store, advanced marketing techniques, "Made in" management. 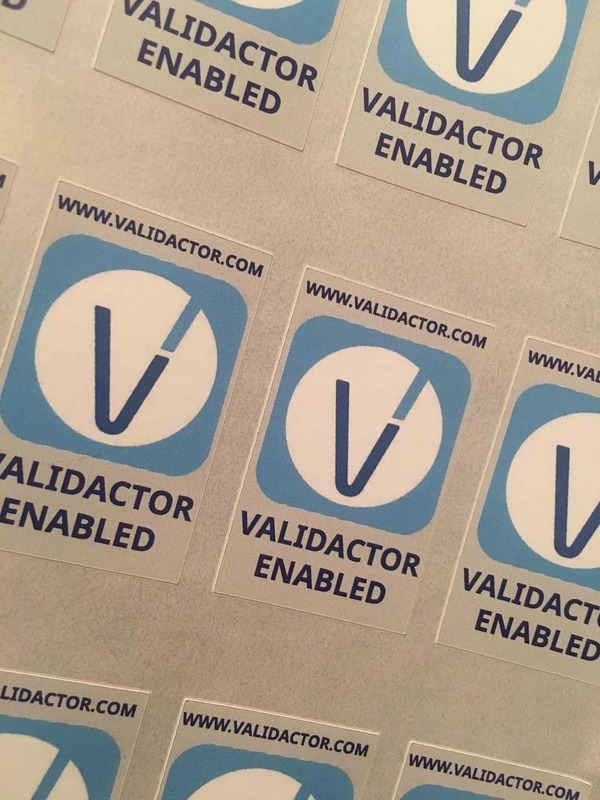 Announcing the release of the VALIDACTOR ENABLED sticker logo. Any product protected by the Validactor technology can now show the VALIDACTOR ENABLE logo. This will help identify the Validactor code, the key to a world of functions. Brand identification, Legal distribution, Quality and Proof of origin are only some of the key factors that lead customers to buy certain products against others. Protecting and identifying the origin of any product is key to quality. We at Validactor have deployed a set of functions to clearly identify each product origin. Customers will be able to clearly identify with no doubt the origin of any Validactor enabled product with the simple scan of a graphic code. Italian Food, French perfumes, USA Apparel, Canadian Maple Syrup, Japanese tools or German opticals are only few of the product Validactor protects and identifies. UPDATE: This feature is available and totally free to protect "any" personal belonging (not only your luggage). Just register and log-in to the Validactor product portal, then select "Generate Product VACode" by clicking the red man shaped icon. Scan the code below to see how the Validactor "Lost & Found" feature works. "We are proud to announce the launch of the innovative "Lost&Found" tracking feature for any luggage" said Dino Sergiano at a recent press conference in Vienna (Austria). 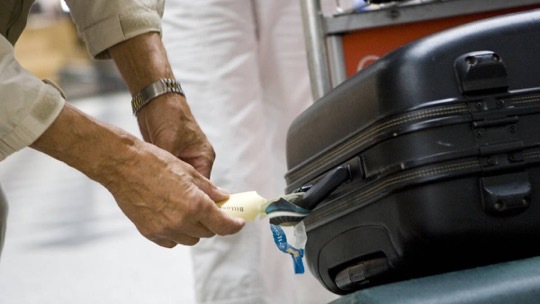 "Starting today at no extra cost any luggage manufacturer will be able to activate the Validactor Lost&Found feature. No more lost, unidentified luggage. Any bag, luggage, trolley or shipped item can be now securely bound to the owner. Several manufacturers have already shown interest in acquiring this technology along with the core features presented by Validactor" added Sergiano. Validactor begins 2017 launching the first of a new and innovative set of functions that will join the existing set of functionalities already offered.